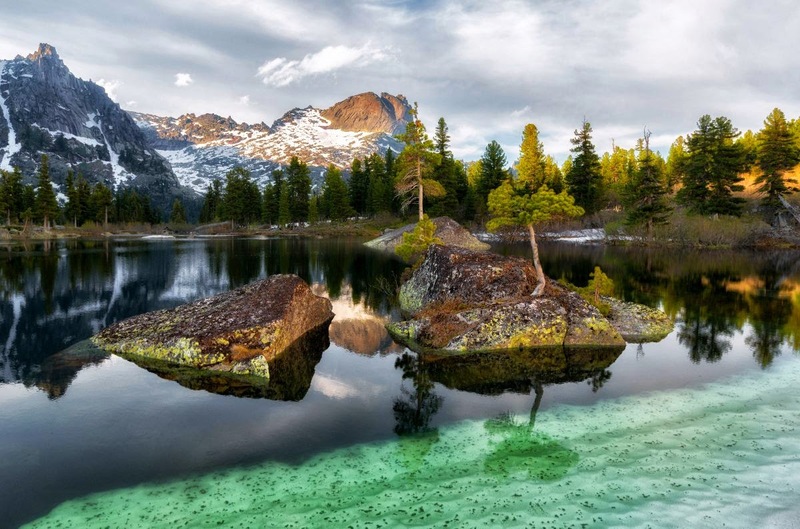 The national park, founded in 2005, stretches some 75 kilometres from north to south in the Western Sayan and is well-known in Russia – if not yet abroad – for its untouched beauty. It is a great place for outdoor lovers. Its pure mountain steams and lakes are among the least polluted on the planet.One of the main attractions of the park is Svetloe (Light) Lake. It is often called the Great Lake. Quiet and smooth surface of the lake stretches from north to the south for around kilometre at an altitude of around 1200 metres above the sea level. The lake is surrounded by a thick pine forest, with two mountain peaks – the Bird and the Star, raising in the distance.